Today’s consumer is migrating rapidly to methods they use and expect for retail transaction delivery. They are looking to smart banking technology, self-service banking, assisted self-service ATM and mobile to shop for and purchase the items that they need. In the Banking world the current buzz word is branch transformation transforming the current Branch and teller model to technology driven transaction delivery. The fact of the matter is delivering what consumers are looking for requires a solution far beyond just transforming the Branch. The reason consumers choose their financial institution can be defined is distinct categories. These factors and the need to reduce operational costs are what need to be considered in the Institutions transformation. Personal service continues to be a requirement considering 90% of all new accounts\business are opened in person. Also migrating traditional tellers “counting cash” to consumers service personnel taking care of consumers and cross selling are a requirement. The teller cash recycler is the technology that enables the transformation to consumer service while reducing operational costs. 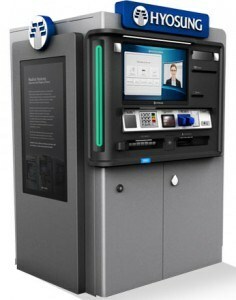 This device accepts and dispenses cash in a form superior to a teller based solution. The reduction in operational costs is notable with features that include self –auditing, rapid note validation and rapid currency counting. A growing number of consumer service oriented industries are looking to assisted self-service to provide the services that consumers want while lowering operational costs. These range from airline, hotels and car rental to big box, retailers and grocery. Our Current technology allows financial institutions to migrate to this growing delivery channel. The MX8800 delivers 60%+ of the transactions consumers want in a self-service model then including a Video conference enabled remote control for personal assisted service when needed. Market Expansion- Personal Service at a Fraction of new Branch Costs. Contact us today for a complementary consultation to see how Automated Transaction Delivery can help you make the most out of your cash delivery and transaction capabilities. Our Teller Cash recycler and Assisted Self Service solutions allow for not only a transformation of the branch but the financial institutions business. These solutions deliver the transactions that current consumers want while greatly reducing the financial institutions operational costs. Our consultants think outside the box to deliver the best solution for your needs. We may suggest thinking about placing ATMs in remote locations, expanding your presence without taking on the expense of opening a new branch. Perhaps you’re concerned about the efficiency of your operation. We can often analyze your situation and come up with a number of different ways to cut costs and increase productivity. Automated Transaction Delivery is more than just a sales and service operation. We deliver complete, problem-solving solutions that will help your financial institution move forward as your customer’s transaction needs evolve. The idea of a complete transformation can seem intimidating, especially if your institution hasn’t made any updates in quite some time. Let us help determine your needs and make sure you don’t fall behind your competition.